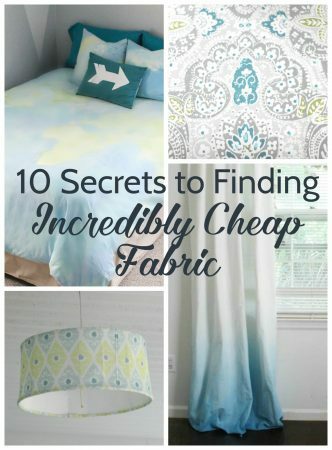 I love gorgeous fabric, but it can be incredibly expensive! Yes I knew this before – but I am still shocked all over again every time I go searching for the perfect fabric for a project. And when I need a lot – like for making curtains or slipcovers or reupholstering furniture – it is especially problematic. $25 a yard may seem manageable in order to get that amazing fabric you REALLY love…until you realize you need 6 yards. Which means $150 plus tax…and shipping. And suddenly your sweet DIY project is going to cost way more than just buying something ready-made. Ouch. Luckily I have spent the past few years meticulously sharpened my skills for being cheap while still having awesome stuff. So I have picked up a few tricks for getting large amounts of great fabric at a fraction of the usual cost. And today I am sharing all of my secrets! Warning: You have to be prepared to think outside the box to find the awesome deals. If it was obvious, everyone would be doing it! Start at a fabric store – but don’t buy anything there. Visiting a fabric store might seem obvious – except we aren’t going to the fabric store to buy fabric. We are just looking. Before you can get creative with where you buy fabric, you need to get some basic knowledge. The main thing you want to pay attention to are the different weights of fabric. In general, heavier fabrics are more durable. Pay attention to the weight of fabric in the home décor section versus the fabrics for making quilts or clothes. 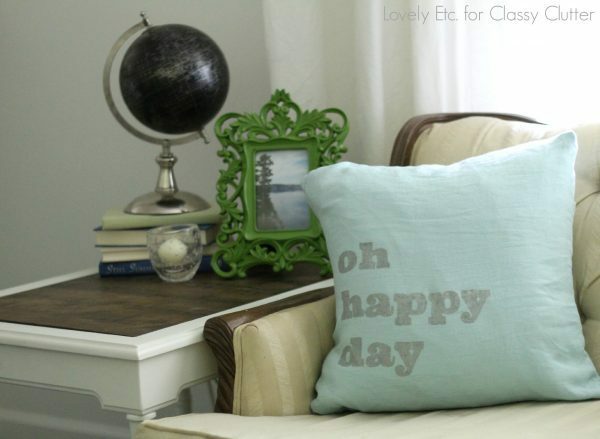 The home décor and upholstery fabric is much thicker and heavier. Feeling the difference will give you an idea of what you are looking for to meet your own particular fabric needs. Actually buy your fabric at places other than fabric stores. Yes, fabric stores are the obvious place to find fabric. And the easy place. But certainly not the cheapest. 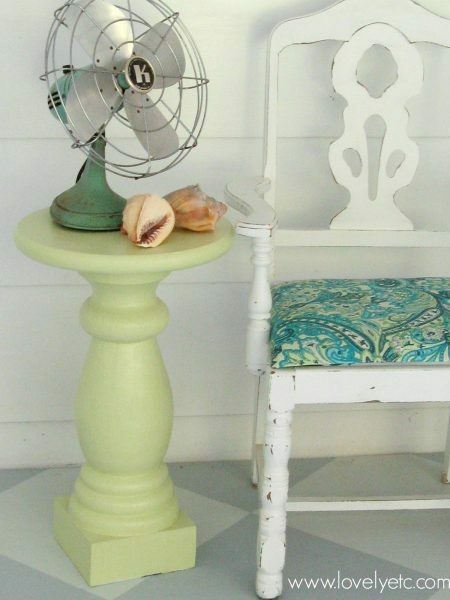 Think about the places you find cheap things for other parts of your home. Yard sales, thrift stores, Homegoods, TJMaxx, Marshalls, Target, Ikea. Now you are probably thinking I have overlooked an important fact – it is nearly impossible to find large amounts of nice fabric at yard sales and thrift stores and most of those other places don’t even sell fabric. That brings me to the next point. You can buy fabric – even large amounts – without buying it by the yard. There are dozens of other forms fabric takes. If you do not need a lot of yardage, skirts and dresses are a great way to get fabulous designer fabric for pillow covers or other small projects. You can find great clothing at thrift stores or on clearance racks or just use your own castoffs. Since all you want is the fabric, it totally doesn’t matter if the fit is odd or the cut is strange. All you care about is the beautiful fabric. If you do not need a super heavy-duty fabric, look for pretty sheets. Vintage sheets in particular come in lots of really beautiful patterns. And sheet sets offer several yards of fabric. Plus sheets are perfect if you need fabric that is wider than a typical bolt of fabric from the store. Again, lots and lots of yardage. And if you find these at a retail store rather than second-hand, you can even buy multiple panels to get extra large amounts. Plus curtains come in lots of beautiful colors and fabrics – everything from printed cotton to luxurious silk. Shower curtains are similar to window curtains but with an added bonus. A lot of shower curtains are made of a fabric very similar to outdoor fabric. It makes sense – both shower curtains and outdoor fabric are made to withstand wet conditions. Plus, shower curtains come in so many fabulous prints and patterns. My favorite place to find great ones at a good price is TJMaxx or Marshalls. Tons of yardage and lots of beautiful patterns. Plus many tablecloths are made of pretty durable stuff. Drop cloths are another fabulous way to get a huge piece of fabric for cheap. 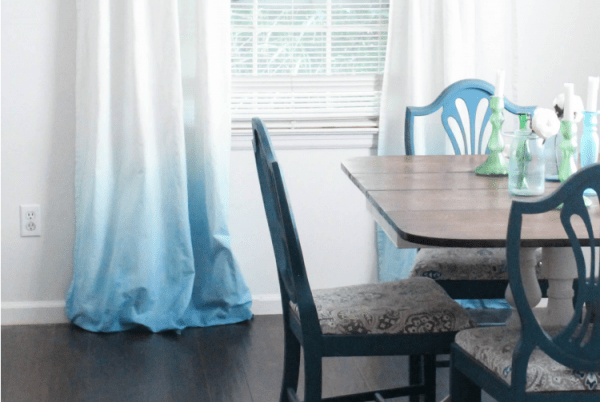 Drop cloth is perfect for home decor and upholstery because it is so durable. It is also incredibly cheap. Most drop cloth has the gorgeous look of linen even without altering it at all but you can also bleach it or dye it to get different colors. But what if you search high and low and think outside the box and still can’t find what you are looking for? Even though I’m cheap, I still want what I want, not some sad compromise. Even if you can’t find fabric you love at a price you like, you can still make it happen. 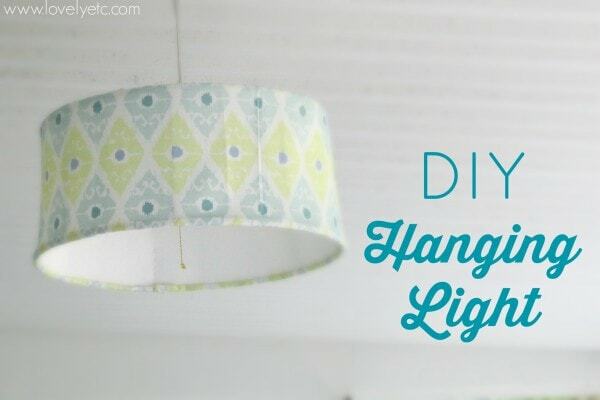 You can turn any inexpensive fabric into something amazing with a little DIY magic. 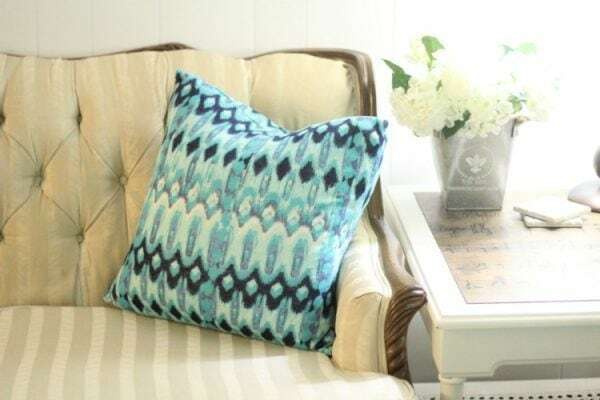 Fabric dye is a fabulous way to quickly and easily change the color of just about any fabric. (Just keep in mind that natural fabrics like cotton and silk are much easier to dye than synthetics like polyester). You can dye the whole thing a completely new color or use fabric dye to create a unique look. I used to think painting fabric was a major no-no. But after painting pillow covers, curtains, and even a duvet cover, I know better now. You really can paint fabric with great, non-crunchy results. You can use special fabric paint, but my favorite way is to mix fabric medium with regular craft paint. You can paint rugs, curtains, even upholstered furniture. 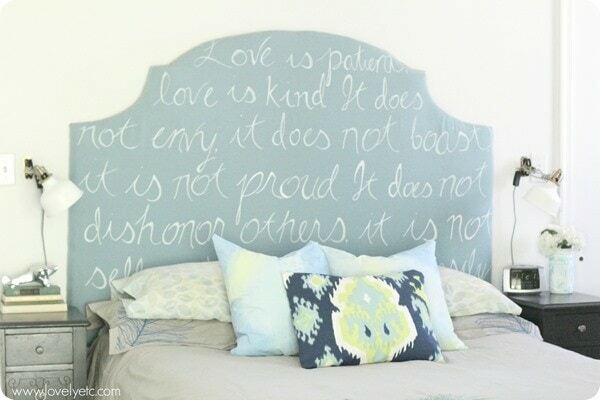 Take your fabric painting a step further and use a stencil. There are tons of beautiful stencils out there or you can just make your own. And those, my friend, are the tricks I use to get yards and yards of great fabric for cheap. What about you? What evil genius ways have you discovered to get cheap fabric? I don’t know how closes you live to High Point NC, but I live here, ( it’s the furniture capital of the world) and I am spoiled with a great fabric outlet we have. This place does not advertise, and is off the beaten path…. Leisure Fabrics is the name. ALL fabric is $3 .00 to $5.00 a yard!!!!!!!!!!! It’s all top quality and in style upholstery fabric. What you see is what you get! No special orders. Their store hours are 9:00-noon and 2-5:00, mon- thurs. Friday 9-noon only. Open 1 Saturday a mon. 9-noon. trust me, this place is a gold mine!!!!! Check it out if you are ever in the area! Molly Beth, Thanks for the tip! I am about two hours away from High Point, in VA but that definitely sounds like it is worth a little road trip! I will have to try to get down there one day while they are open and check it out. Thanks! So awesome! I live in high point too. I can’t wait to visit. Also check out the salvage if you haven’t. It’s behind furniture land on Main Street. Awesome deals!!! A great list. I think I’ve used all of them over the years with the exception of ombre . 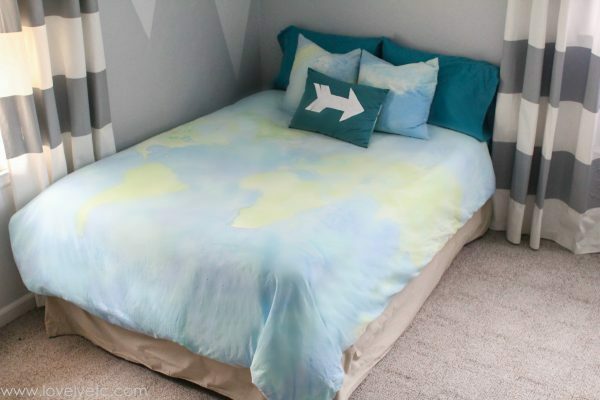 I’m not a huge fan of ombre or tie dyed fabric, otherwise I’m sure I’d have done that as well, lol! I know a lot of people use the terms curtains and drapes interchangeably, but I think of curtains as being made from a more lightweight and drapes are made of a much heavier weight fabric. 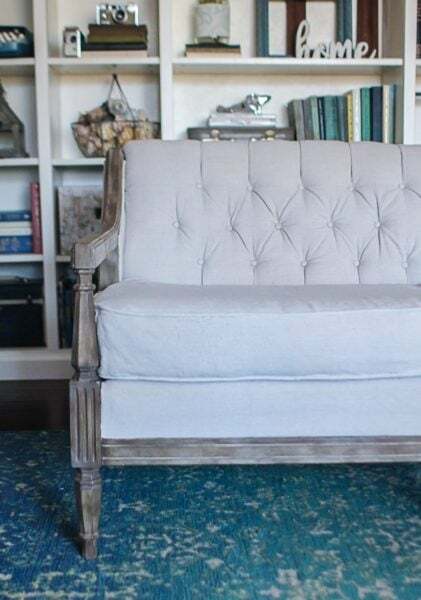 A lot of drapes are made of fabric that is close in weight to some upholstery fabrics and are, generally, a tighter weave and are sturdier than some curtain fabrics.They’re an excellent choice for using to recover or slipcover a piece of furniture. Thanks Kim! Good point about the difference between curtains and drapes. I do use the two terms interchangeably but you are right, they can be vastly different. Thanks for the insight! This post is really useful. Thank you very much for sharing, Carrie. This will be a great reference for me. I will try to make some cushions by myself. That’s a great list. I think I’ve used all of them over the years, thanks for sharing useful information and I’m looking forward to reading new posts. Thanks so much for great tips! I just bookmarked for my partner, they are definitely helpful. She is designing new curtain, drapes for our kids. Such informative tips! Thanks for sharing with us, Carrie. I really appreciate it. I’m looking for some kinds of fabric to make my own cushions. Btw, thanks for sharing Carrie. Great point – it’s awesome when the hems or buttons work into your design! Oh man, you give a lot of great ideas to recycle. I often use old clothes to make short/simple curtains for kitchen, shower or chair carpet. Painting fabric sounds good, cant wait to try it and see my outcome. Thanks so much for inspiration Carrie! Thanks for the good ideas. I always scour alternative sources for fabric. I do check the remnant piles in fabric stores and sometimes find something good, but mostly fabric stores are way too expensive for my projects. However, so are new sheets! Especially large ones! But I do check thrift stores, yard sales, etc. for sheets, other bed clothes, tablecloths, etc. and sometimes find really good stuff. But I had to laugh–it’s good to know I’m not the only one. Now I’ll be looking through all the clothes too. Thanks Linda! I like to look for remnants too but I almost never find anything that is big enough or that I really like. And you are right – sometimes sheets are really expensive too, but I have found some great deals before. I don’t know if you have Ross near you, but they have some good sales. And I agree – anything secondhand is the cheapest way to get something good! Carrie these are such great ideas! I am also a fan of taking clothes apart and using the pretty pattern. I had taken a recliner cover apart and repurposed it into curtains. Great post with lots of fun and practical ideas. And all of your projects are awesome! Thanks Mary! 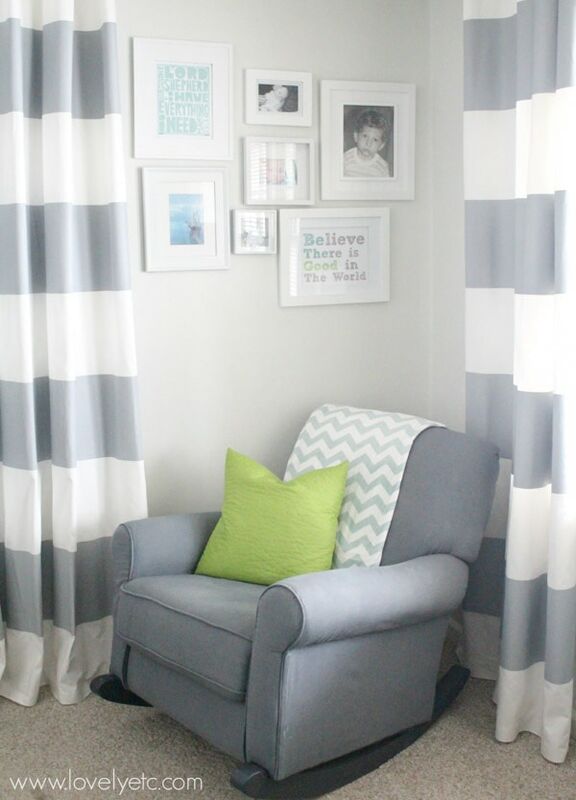 I love your idea of taking apart a recliner cover – so creative! I loved your post! I made several pillows from a gorgeous blue patchwork quilt. I still haven’t had the nerve to cover the couch yet! I have had great luck finding bargain curtains at at Home Goods . I love the idea of using an old quilt Donna – especially since so many of the older ones are full of holes and hard to use on a bed anymore. And I can never resist looking at the curtains and shower curtains at Home Goods because I’m always hoping for a gem! My wife does a lot of crafting and I have been starting to like it more myself. Anyways, she’s always wanting to increase the amount of fabric that she has. I do like that you mentioned that even if you weren’t able to find something that you like, you can always modify it to your liking! These are great tips! I ended up here after googling how to dye a gray dress a prettier color (led me to your instructions for turning fabric gray, but I read anyway) and I just happen to be in the market for fabric—for cafe curtains and for a small chair. The upholstery material I’ve seen is SO expensive! I’ve never been to Home Goods but we have one nearby so I’ll look there for curtains. Thanks to the people who suggested that. For the chair, which I’m going to have professionally recovered, I never thought of buying drapes but it’s a brilliant idea. You have a new fan and community member! Eileen, I’m so glad you found me and my tips could help! Good luck finding great curtains to use!